Do you enjoy moist delicious meatballs? So tender they melt in your mouth. These are a little spicy, a little sweet and shhhh…..don’t tell but they are turkey meatballs so they are good for you too! Or at least not bad, right? 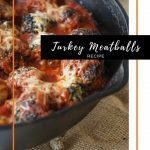 Turkey Meatballs – amazing flavor and easy to make! Since fall is here and winter is right around the corner I thought it would be timely to share a great comfort food recipe. 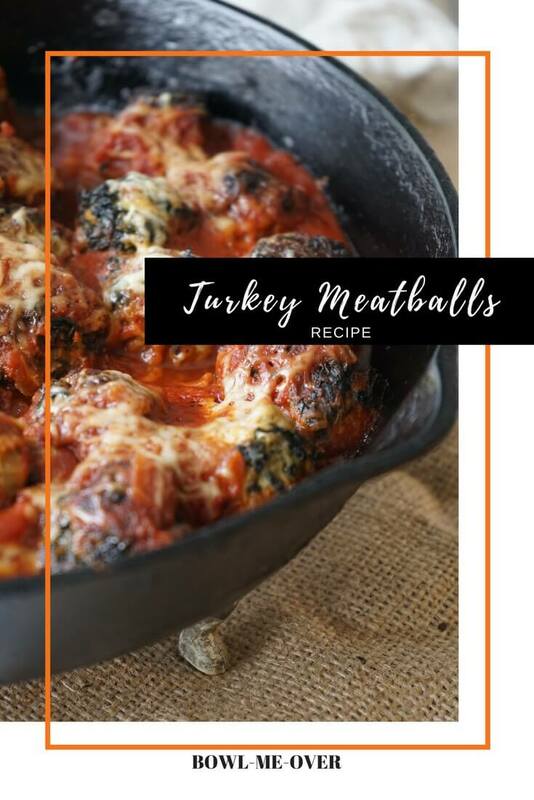 The recipe I’m sharing with you is delicious and easy – Turkey Meatballs! Baked in the oven, rather than fried they are slow cooked goodness. Perfect for a lazy Saturday night, but delicious enough for company! I recently served these to my folks when they were visiting a few weeks ago and they absolutely loved them! You’ll combine the above ingredients, mixing them well but being careful not to over-mix (that will make the meatballs tough). Using a small ice-cream scoop portion them out and shape them into balls and place on a pan sprayed with non-stick coating. Combine the ingredients, mixing them well but being careful not to over-mix. Using a small ice-cream scoop portion them out and shape them into balls will keep them uniform in shape and they will all cook at the same time. Under the broiler they go for about twelve minutes. When they are done, they can be served several ways – with a pile of noodles, tucked into a sandwich, or my favorite way – bake them smothered in Mom’s Sunday Gravy topped with cheese! Add the meatballs to a skillet and top them with sauce. Bathed in sauce, topped with cheese, covered baked in the oven – WOW! This with some delicious crusty bread and a great red wine! That is foodie perfection and a fabulous meal! I made an extra batch of Mom’s Sunday Gravy Sauce to enjoy with this meal. I poured about two cups in the bottom of the pan, nestled the meatballs into it. Poured over with more sauce and topped with some salty parmesan cheese. 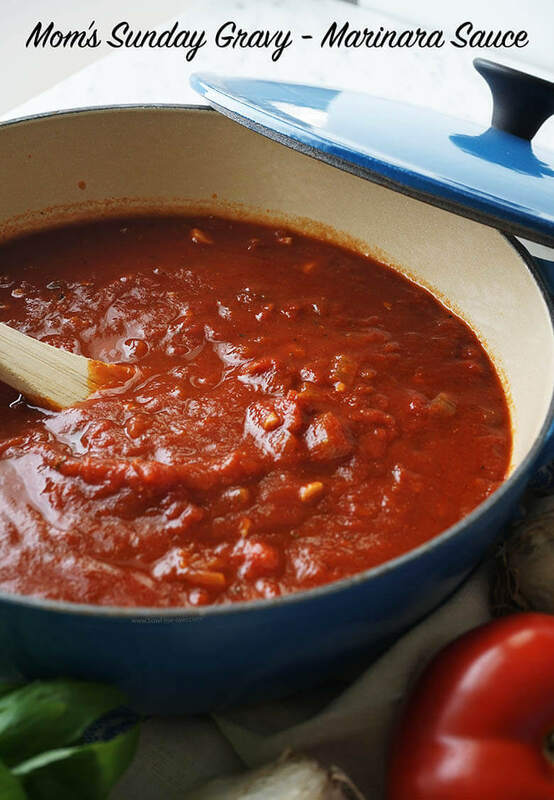 Thick and flavorful, this sauce is amazing and you’re going to love it! 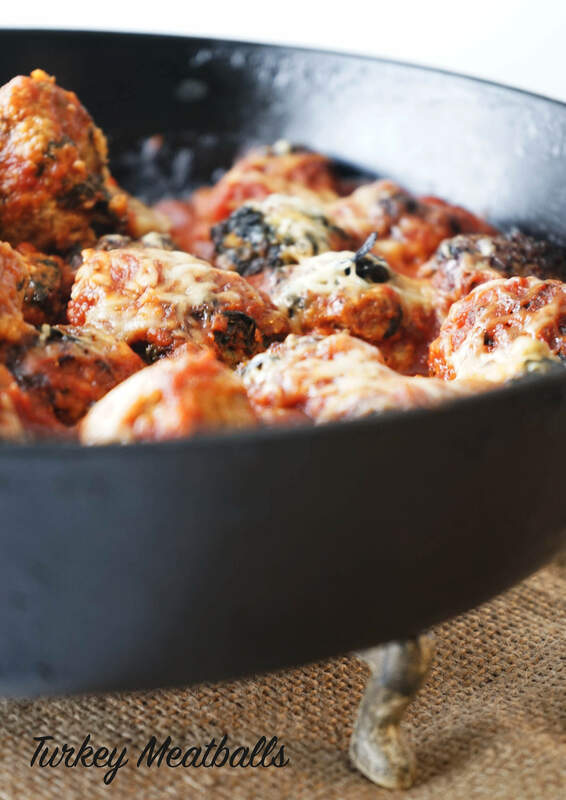 Yummy and easy these meatballs are SO DELICIOUS! How to serve them? You can top off a bowl of spaghetti, stuff them into some great sourdough bread topped off with cheese for a great meatball sandwich, serve with toothpicks for the perfect appetizer or do what I do…. Yup, you guessed it! Serve them in a bowl! 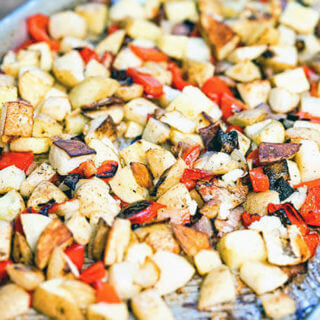 Alongside some great pan-fried vegetables and you have one amazing meal!!! (actually you’ll have several because this makes about 24 small meatballs). So those meals I mentioned above? You can make all three!!! Healthy and easy Turkey Meatballs with so much delicious flavor, everyone will love them! This post first appeared as a guest pot on Slow The Cook Down. 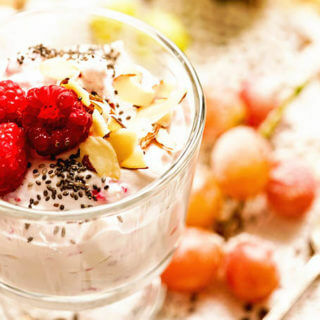 Combine the above ingredients, mixing them well but being careful not to over-mix. Broil for 10-12 minutes or until the meatballs are cooked thru. Keep an eye on them to avoid burning. Remove from the oven and change the temperature to 350 degrees. Add approximately 1/3 of the pasta sauce to the bottom of a large skillet. Add the meatballs to the pan, top with the remaining pasta sauce and sprinkle with cheese. Cover with foil and bake in the oven for 30 minutes. Serve and enjoy! 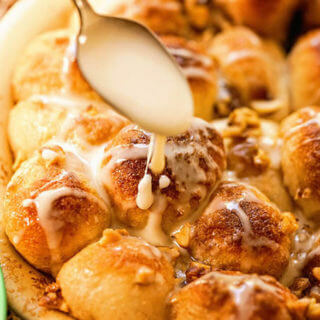 « Thanksgiving Side Dishes NOT cooked in the oven! Thank you so much Liza! These are so amazing, I hope you give them a try!! Loving these meatballs! 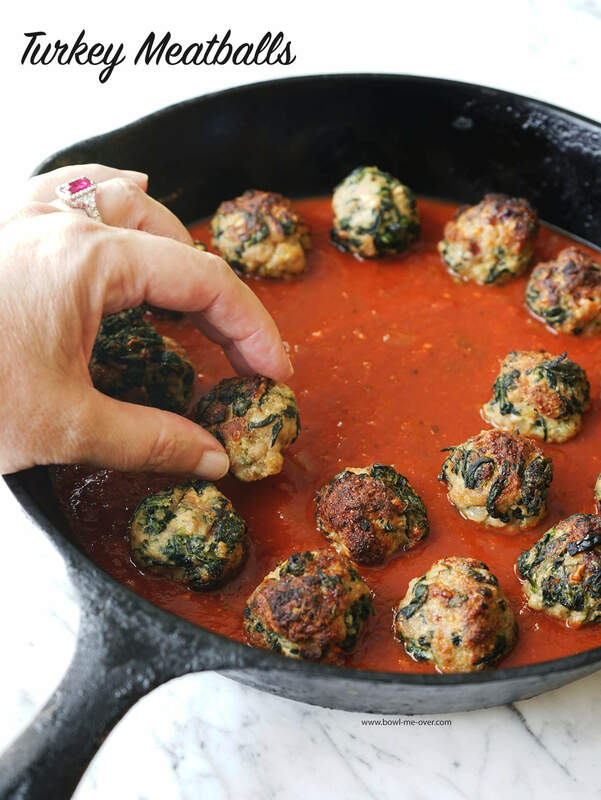 I cant wait to try them… I really like the idea of adding spinach to the meatballs! Thanks for another fabulous recipe! Wonderful – I think you and your whole family will enjoy these Angela! Love these meatballs! These meatballs look delicious and versiatile! My husband would love a meatball sub out of these and I’ll enjoy them over veggies! Wonderful, enjoy Sandra and thank you for stopping by! I’m definitely trying these soon, I love spinach in meatballs! Enjoy Lori – these are a real favorite in our home!! 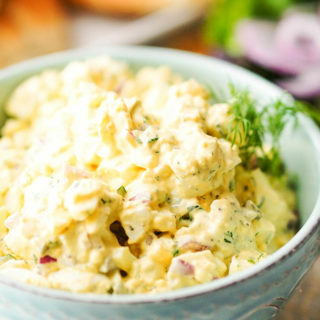 Perfect for Sunday Supper or as an appetizer for all the holiday parties! Plus some extra veggies inside! 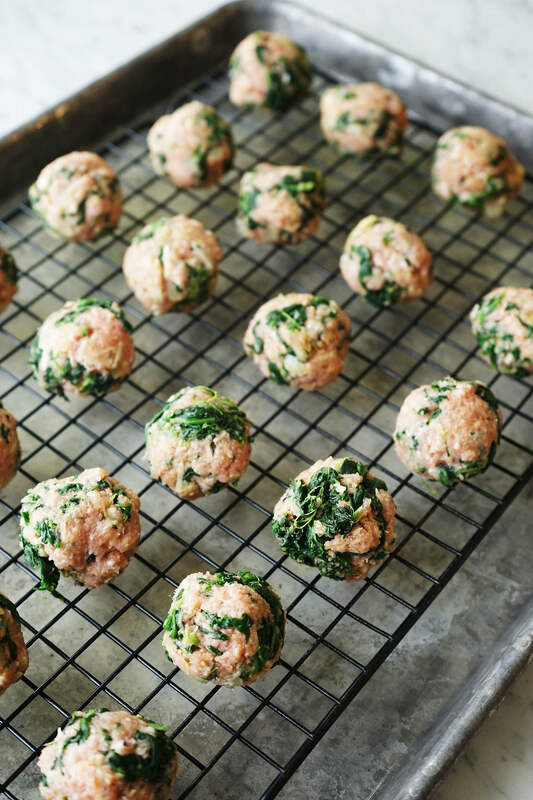 These turkey meatballs look so good… LOVE the spinach and cheese additions. Yum! These are so yummy, I hope you give them a try. Thanks so much Michele! These meatballs would be awesome for Thanksgiving! I need to make them! They are so yummy, enjoy Madi!!! What they don’t know won’t hurt them right? 😀 Seriously though I bet they will really love these meatballs! These meatballs look amazing! Love the addition of spinach and cheese. 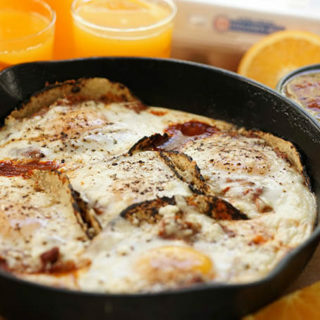 I need to add this to my list of recipes to try next! Great, I know you’ll really enjoy them Marie – these meatballs are the BEST!! They sound superb, your cooking method is very similar to mine, cooking in the oven allows them to almost poach in the sauce and stay lovely and moist. Oven baking makes such a difference – so true Brian – enjoy! The spinach and the cheese push these meatballs into the dangerously addictive category for me. And thanks for all those ideas on how to serve them. I’m favouring the cocktail sticks right now since it’s party season. 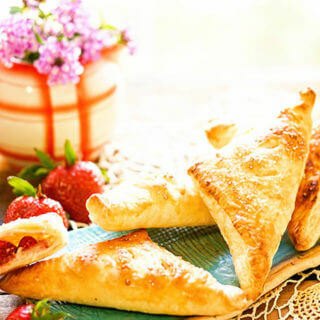 Oh yes, perfect for a party – serves a crowd and so easy too! Thanks Lucy! You’re welcome Anna – these are so delicious, I hope you give them a try! Meatballs are the ultimate comfort food and we often use turkey too. I am craving meatballs now! This looks like the perfect meal for the whole family. Deb, you really know how to feed the soul! Looks so good. 😋 I do enjoy feeding a crowd!! Thank you Rini! !